The international community is committed to ‘take immediate and effective measures to eradicate forced labour, end modern day slavery and human trafficking’, a goal set out in the Sustainable Development Goals that officially came into force in early 2016. Important regulatory initiatives, in the United States and the United Kingdom in particular, are expected to help bring about the necessary systemic change. Businesses should be prepared to deliver on disclosure requirements set out in such regulation. 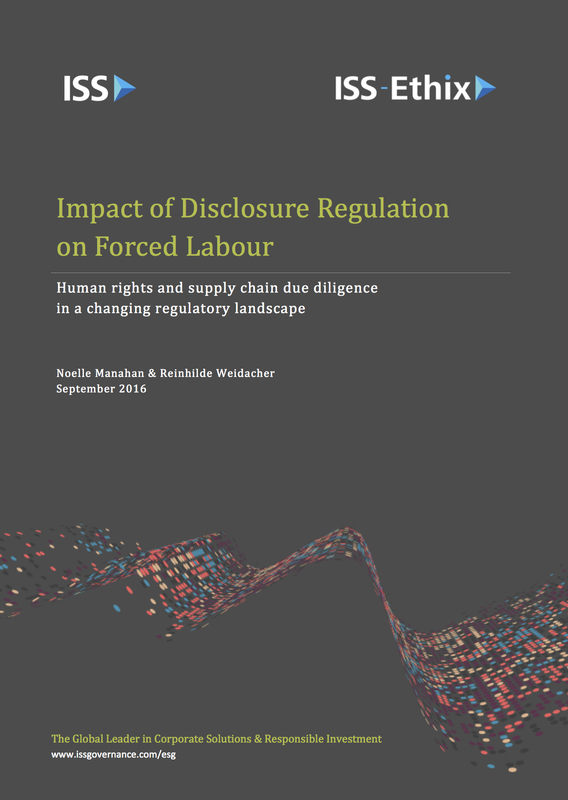 More importantly, however, disclosure regulation should prompt companies to actively address the risk of forced labour throughout their value chains and should compel investors to hold them accountable for it, in line with the established notion of human rights due diligence. ISS’ research shows that companies are often willing to take measures, yet action is generally prompted by stakeholder pressure and, crucially, investor engagement.